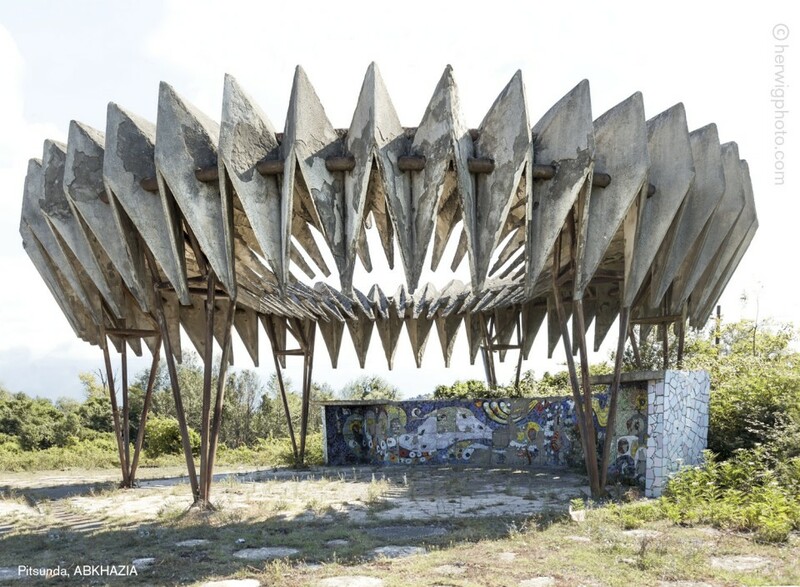 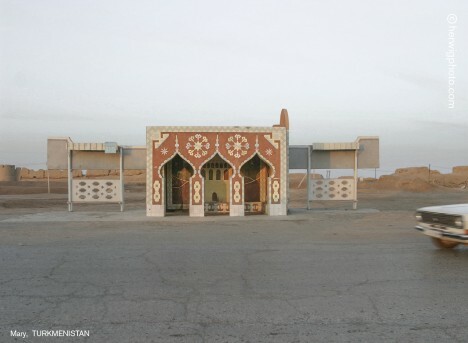 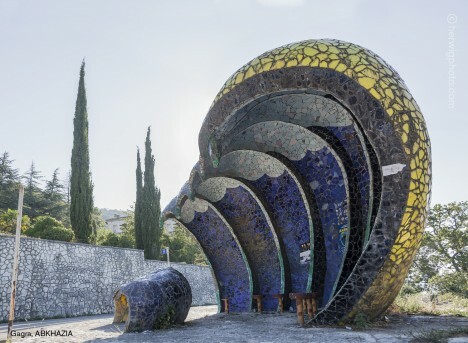 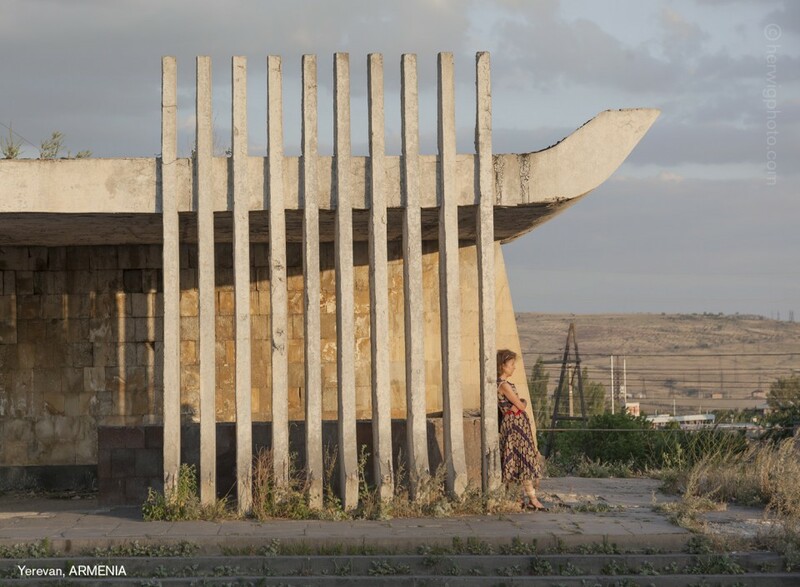 Standing stark against silent desert backdrops like sculptures made for Burning Man, these leftover Soviet structures are actually bus stops scattered throughout one of the most sparsely populated regions on Earth. 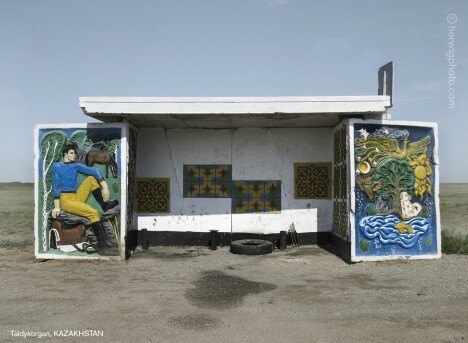 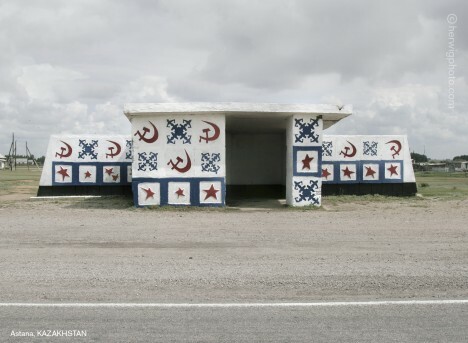 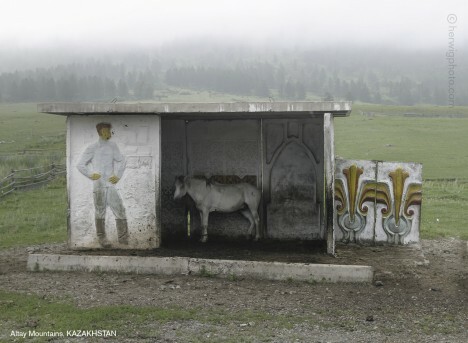 Photographer Christopher Herwig followed bus routes from Estonia to Armenia to photograph odd little roadside shelters in former Soviet satellite states for a new book. 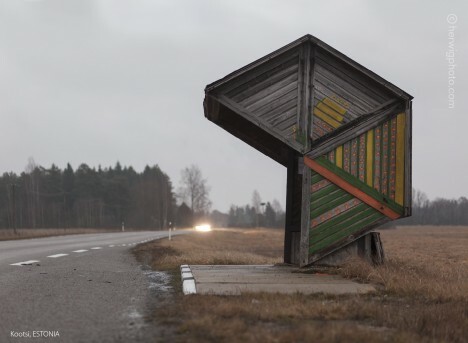 Herwig first discovered the strange beauty of these huts on a long-distance bike ride from London to St. Petersburg in 2002. 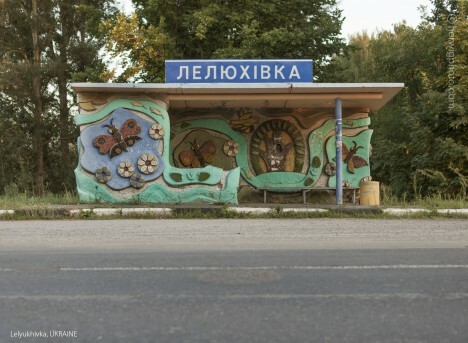 Designed by local artists, seemingly without any restrictions from the government providing the money, each one displays a bit of the character of the town in which it stands. 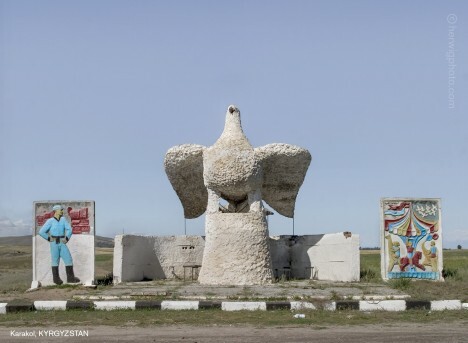 Throughout his journey, which took him to 13 countries and through territories that are rarely traversed by tourists, Herwig reports that he was occasionally accused of being a spy. 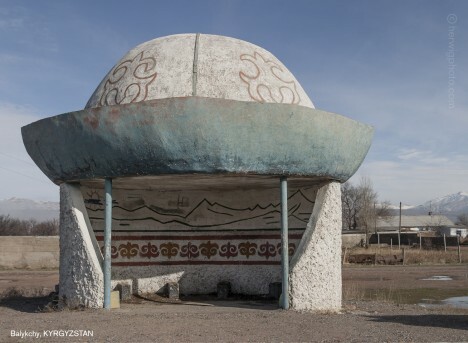 The photographer scoured maps, Google Earth and traveler’s blogs for clues to find many of the shelters, which appear to be in exceptionally good shape for their age. 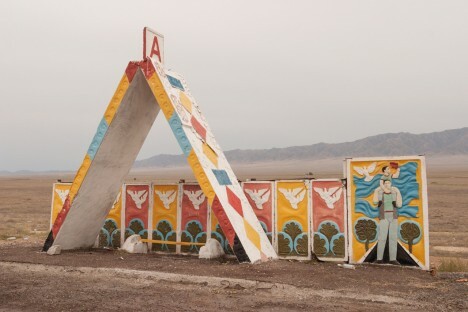 Twelve years in the making, the photos were originally published in a limited-edition, sold-out version of the book, which is now available in an expanded, smaller-format trade edition.